Inspired at the age of three by children playing violin on PBS specials, Sarah Martin began studying the violin two years later at age five. She attended Booker T. Washington High School for the Performing and Visual Arts, during which time she studied with University of North Texas professor Julia Bushkova. She then received her Bachelor of Music at Oberlin Conservatory for Violin Performance and her Bachelor of Arts at Oberlin College for Psychology. At the conservatory, her principal teacher was Gregory Fulkerson. 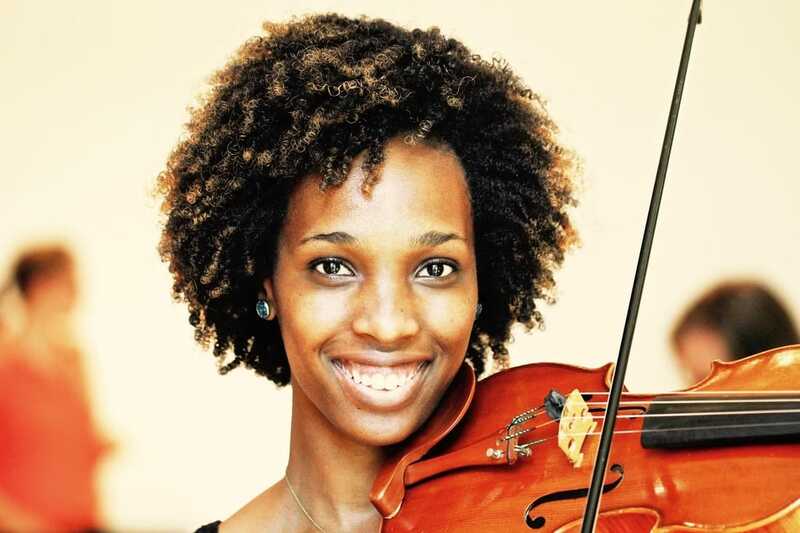 She ﻿recently﻿ received her Master’s degree in Violin Performance at Northwestern University’s Bienen School of Music, where her principal teacher was Blair Milton. An avid orchestral and chamber musician, Sarah has attended such festivals as the International Academy of Music in Castelnuovo di Garfagnana, Italy, National Symphony Orchestra at Kennedy Center, Boston University Tanglewood Institute (BUTI), ARIA, and Chautauqua Music Festival. At these festivals, she has studied with prestigious teachers including Almita Vamos, Jacques Israelivitch, Anton Miller and Mikhail Kopelman. As a past member of the Fort Worth Youth Orchestra, the Greater Dallas Youth Orchestra, The Oberlin Orchestra, Orchestra of the Americas and Aldeburgh World Orchestra, Sarah has performed in Italy, Germany, Poland, Czech Republic, China, Hong Kong, Colombia, Ecuador, Peru, Brazil, Singapore, England, and Amsterdam. Among the world-renown concert halls, she has performed in the Walt Disney Concert Hall, The Concertgebouw, The National Centre for the Performing Arts Concert Hall, Royal Albert Hall and The Philharmonie. She has also performed under many great conductors including David Hoose, James Gaffigan, Tim Muffit, Tito Muñoz, Mei-Ann Chen, Carlos Prieto, Dante Anzolini, Carlos Kalmar, and Sir Mark Elder. Sarah has received a downbeat award and won grand prize for the Chamber Music International Competition. She has played with Stevie Wonder and she was invited to play on the same stage as Erykah Badu and Prince during Super Bowl XLV weekend. She has also performed on WRR Classical 101.1 FM as a guest violinist in the Dallas based Locrian String Ensemble. In 2012, Sarah was honored with the three-year Project Inclusion fellowship with Chicago Sinfonietta, which performs in Symphony Center in Chicago and Grant Park Orchestra, which performs in Jay Pritzker Pavilion in Millennium Park. After finishing her fellowship, she performed as a freelancer with Northbrook Symphony, Park Ridge Orchestra, Chicago Philharmonic, Illinois Philharmonic Orchestra, Illinois Symphony Orchestra, Chicago Jazz Philharmonic, Black Pearl Chamber Orchestra, worked as a music educator, and performed other genres of music in the Chicago area as well. In 2016, she moved to Berlin, Germany to continue her music career in Europe and she privately studied with Angela Sinell and Judith Ingolffson. She now freelances in the Berlin area, where she enjoys performing with several ensembles and collaborating with fellow artists. Sarah's mission as a musician is a commitment to changing lives and enriching the cultural life of audiences through music's extraordinary power to communicate.